It’s common to gain a little weight during the holiday season — not only are decadent foods everywhere, but you’re likely socializing more and busier in general, which leaves less time to plan and prepare healthy meals. We have some tips on losing weight before the holidays! While it may be tempting to put healthy eating on hiatus and get back on track in the new year, doing so can compromise your health — not to mention make it more difficult to reach your health goals come January. With a few adjustments, it is possible to maintain your weight or even lose weight during the holiday season. Check out these 10 tips that will help you lose weight in the weeks that remain before Christmas. It’s easy to let exercise slide when you’re busy socializing during the holidays. But being active regularly is important for many reasons — aside from helping manage your weight, exercise reduces your risk of cardiovascular disease, decreases stress, improves memory and mental health, boosts the immune system, and increases your lifespan. Try to stick to your normal routine as much as possible, even during the holidays. If you aren’t already exercising regularly, don’t wait until after New Year’s to get started. If you think you don’t have time to work out, change the way you’re thinking about exercise. Super sweaty gym sessions are great, but aren’t always necessary. 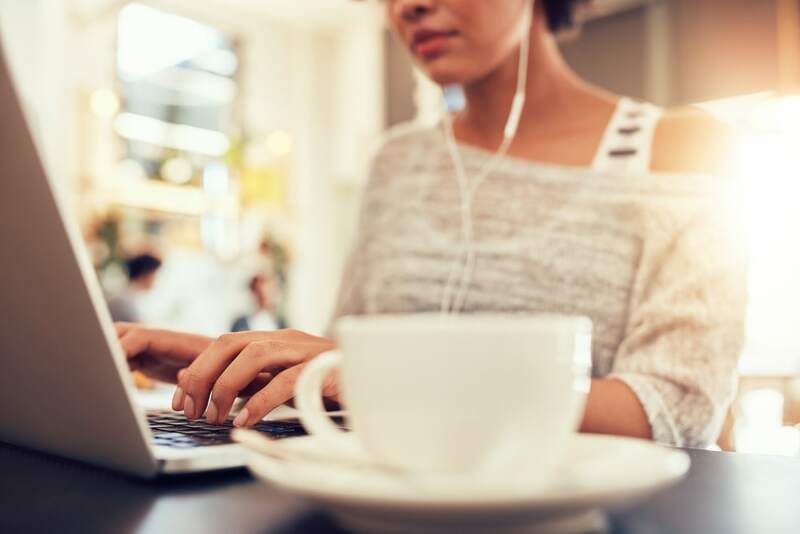 There are lots of ways you can add more activity into your day: park farther away from your destination, take the stairs, or do a 15-minute yoga video before bed. Every little bit counts! 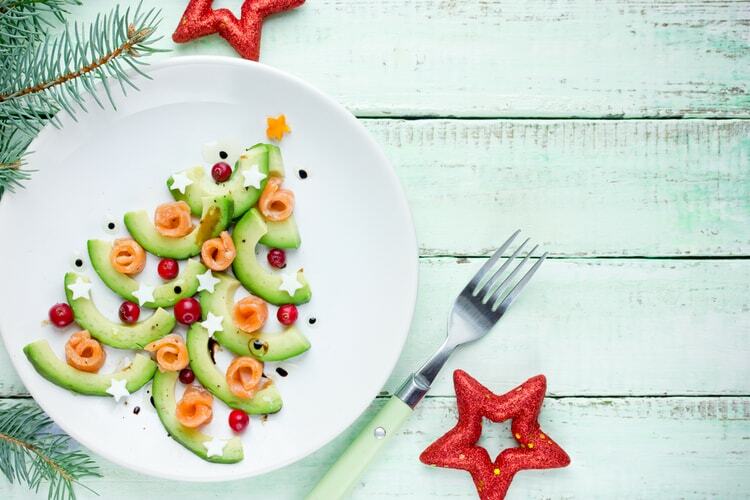 Parties and holiday treats typically mean extra calories during the holiday season, so make sure your meals are healthy. Don’t skip meals just so you can indulge later — you’ll deprive yourself of vital nutrients and may end up overeating. If you normally go out for lunch during the week, cut back on calories by bringing a healthy lunch to work instead. Prepping your meals over the weekend can help you save time. Try to include plant compounds, protein, and healthy fats in every meal. It’s more tempting to get takeout if you know you don’t have anything at home to cook. Stock up on healthy non-perishable or frozen foods, like frozen vegetables, quinoa, and brown rice, so that you always have something to make. Cook extra when possible so that you’ll have leftovers, or batch cook meals and soups to freeze and reheat later. Flavored espresso drinks are popular during the holiday season, but can contain as many calories as a meal. Even if you opt for light or “skinny” versions, those artificial sweeteners can still negatively impact your health and your weight. 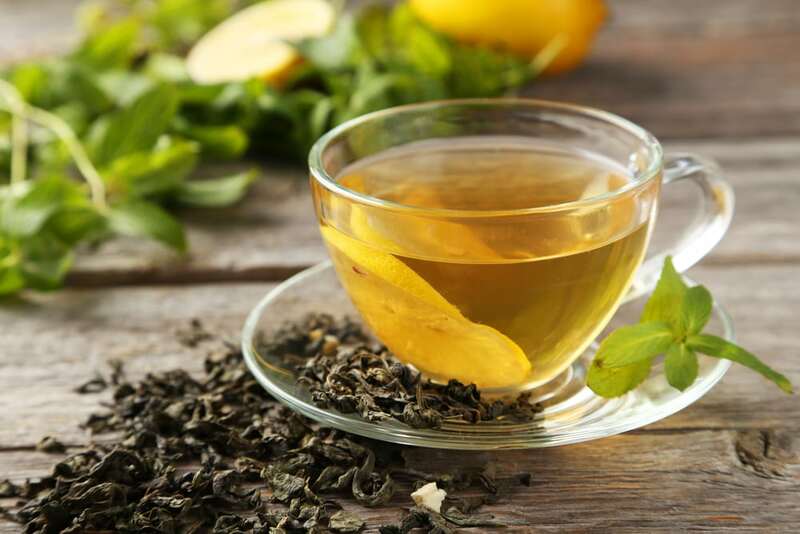 Opt for herbal tea instead, which will help keep you hydrated and provide additional health benefits in the form of antioxidants and other beneficial compounds — and may even help you lose weight. If you’re in the habit of always eating dessert, start going without. You may be eating it out of habit more than anything else, so see if you can wean yourself of the need to have something sweet. Try fruit instead, or a small piece of very dark chocolate. After cutting out sweets for a while, you may find that you don’t crave them as much, which will make it easier to avoid the cookies and other treats at holiday parties. Not only are most alcoholic drinks high in calories, alcohol is also a toxin that the liver has to process out of your body. And when your body is devoting energy to the removal of alcohol, it takes energy away from other important functions, leaving you feeling drained and lethargic as a result. Give your liver a chance to rest and help your body process out other toxins by drinking lots of water. Eating simple carbohydrates like white rice, bread, and pasta will lead to a blood sugar spike and then a crash that will only make you hungry again. Choose complex carbohydrates like veggies and leafy greens, and combine them with quality sources of protein and healthy fats to stay feeling full longer. Holiday stress, less nutritious foods, and lack of sleep can all take a toll on your immune system. Ward off holiday illness by eating antioxidant-rich fruits and veggies whenever possible, and try to include a variety of colors in your diet. Potluck lunch at work? Bring a veggie tray or a fruit salad instead of another plate of cookies. Healthy levels of beneficial gut bacteria are key to maintaining your health, especially if you are eating rich, sweet, or heavy foods during the holidays. Imbalances in gut bacteria have been linked to symptoms such as digestive issues, headaches, and fatigue. Bad gut bacteria feed on refined carbohydrates like sugar and white bread, so cutting down on those foods can help balance bacteria levels, as can taking a high-quality probiotic to restore levels of beneficial bacteria. When we’re busy, sleep is often the first thing we cut back on. But skimping on sleep not only leaves you feeling burned out and exhausted, it actually disrupts your hormones, which in turn can mess up your appetite and affect your weight. Aim for between 7 and 9 hours of sleep every night (it’s a myth that you can catch up on the weekend). Set an alarm on your phone to remind you when it’s time to get ready for bed, and turn off electronic devices or set them to night shift so the stimulating light doesn’t keep you awake.